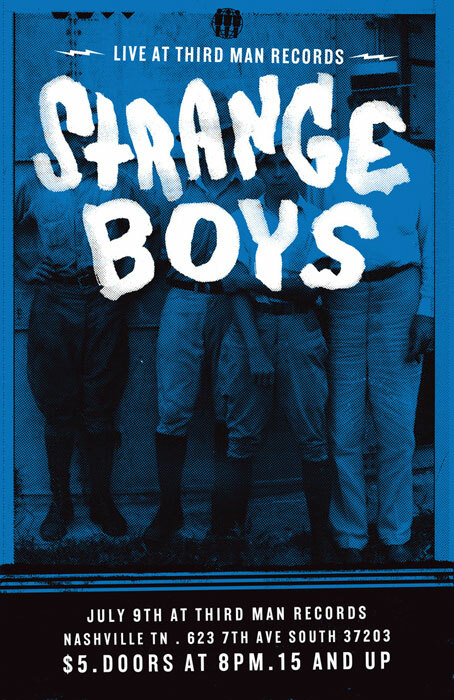 We hinted at it a little earlier this week but now we can go ahead and let out the secret: our Austin buddies The Strange Boys are gonna be in town again this weekend to do a LIVE record at Third Man! They just came through a bit ago at The End with Denny and Watusi and The Paperhead [remember the pics?] but this time they’ll be hitting the big stage in the blue room at Third Man with Natural Child opening. It’s gonna be a ball. As far as we know, Strange Boys have been busy working on their upcoming record as have Natural Child — so we fully expect to see some new moves and hear some new tunes. We’ll be on the ones and twos in the back of the room with Walker Mimms of The Paperhead [check out his Dead Air he did for us recently if you wanna get a taste of what to expect] You can go ahead and pick up your ticket here — we’re definitely expecting this one to be a packed-out party.